This workshop is capped at 12 places. Please book in advance to avoid disappointment! The Improv Actors Clinic is a place for improvisers and actors to develop their spontaneous, collaborative and creative performance skills. Without a script, the improv actor must react in the moment, channeling writer, director and dramaturge all at once. Focusing on side-coached, performed scenes, the Improv Actors Clinic is designed to challenge participants, with each drop-in tailored to the students who arrive and the skills they want to work on. It is a workshop space to explore what makes improvised theatre compelling, transporting and delightful for both audiences and performers alike. Please note: this class is recommended for ‘improv improvers’: students who have some improv experience and are looking to build their skills. If you have never taken an improv class before, do come along to our Discovering Improv course, or our Monday Improv Drop In. 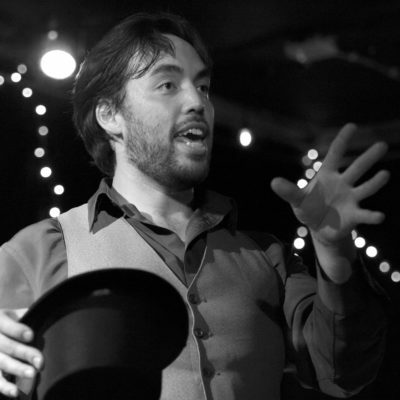 Andy Yeoh is the BIT's longest-standing instructor, having taught the BIT's first ever course back in 2013 after the first Bristol Improv Festival. Last year he directed the BIT's original productions This Is Your Musical and Pick Your Own Panto. Andy is a founding member of improvised theatre company Degrees of Error, and holds a Masters in Theatre in Education from the University of Warwick.